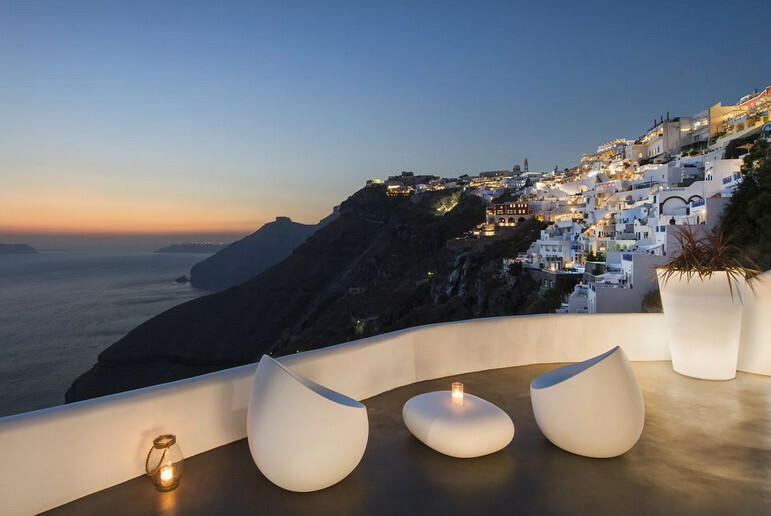 The exclusive boutique hotel Athina Luxury Suites located on the cliffs of the caldera, in the magnificent island of Santorini, was recognized once more globally and received two more accolades! 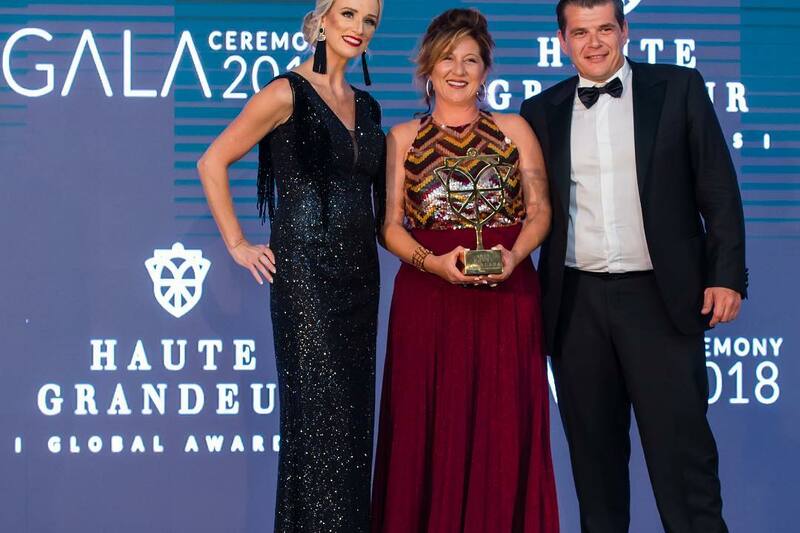 The boutique hotel that puts you in the most sought-after location in Fira was awarded as the Best Hotel View, Boutique Hotel in Europe by the Haute Grandeur Global Awards on November 1st 2018, at Palazzo Versace Dubai. Haute Grandeur Global is a prestigious trusted Awards initiative building its reputation as the world’s leading awards initiative by rewarding outstanding spa experiences. One of the most prestigious events about luxury hospitality the Haute Grandeur Global Awards ceremony brings together a guest list of esteemed industry VIPs, influencers and personalities. The Awards celebrate the best hospitality experiences, acknowledging the world’s most exceptional hotels, spas and restaurants. Each year, top luxury hospitality brands vie for the ultimate accolade in overall excellence. Only the best of the best is awarded for exceptional achievement and greatest contribution to the industry. “The hospitality industry is highly competitive. Only those who constantly exceed attain prestige” said Haute Grandeur Founder and President, Marinique de Wet. 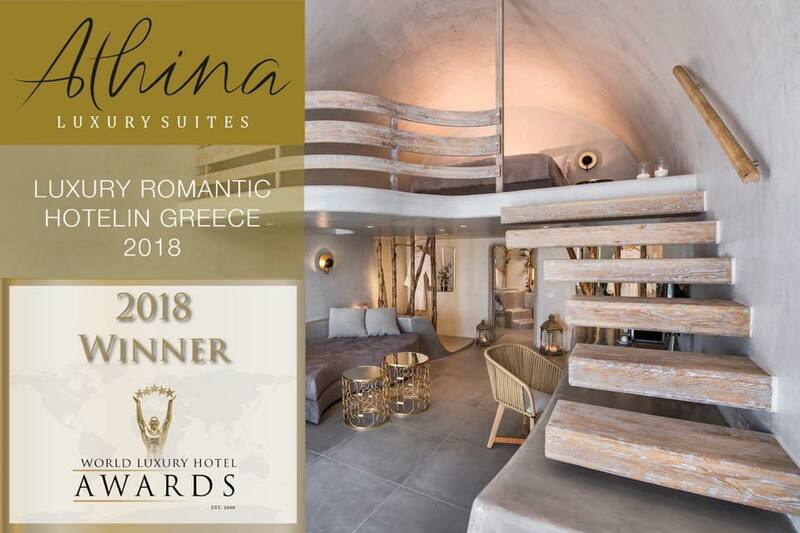 A few days later, Athina Luxury Suites shined at the World Luxury Hotel Awards winning the title of the Best Luxury Romantic Hotel in Greece, at the Gala ceremony held on November 10th 2018, at the Ayana Resort and Spa Bali in Indonesia. Athina Luxury Suites features a total of 14 opulent accommodations. Each suite level provides its own unique set of luxury amenities, but all are designed for discerning guests looking for a perfect combination of serenity and adventure. Just meters away from the vibrant town center, Athina Luxury Suites immerses guests in tranquility. Breathtaking views, world-class service and exquisite accommodations combine to create an once-in-a-lifetime experience.